Zanu PF has expelled former Vice President Emmerson Mnangagwa from the party as per request by the country’s 10 provinces, the Youth League and the Women’s League. The decision was made at the party’s Politburo meeting held at the party headquarters in Harare today. The party’s Secretary for Information and Publicity, Simon Khaya Moyo made the announcement after the Politburo meeting this evening. 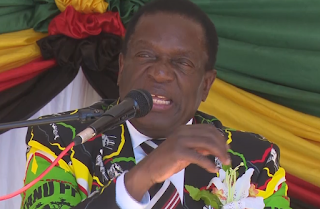 He said the Politburo also resolved that all members identified as colluding with Cde Mnangagwa in his secessionist agenda to be put before the party’s disciplinary committee where appropriate action would be taken in accordance with the party’s constitution. The issues were contained in the Commissariat Report presented by the National Political Commissar, Saviour Kasukuwere.